As soon as the nurse proclaimed that we had a head full of hair and this was happening - now! - plugs were yanked out of the wall and I was wheeled to a labor and delivery room, leaving Hillary in the dust. I yelled to him as I was pushed down the hall. Call my mom...and Nicole! I was elated! It was labor! I didn't have to go through all of this again. It was short in labor terms, but it was the longest night of my life. Almost non stop pain and too much uncertainty. Our midwife got there just in time and proclaimed she couldn't believe we were in labor, she thought for sure she was coming in for an emergency C-section based on her info from the nurses. Our doula arrived in no time and was right there encouraging me and taking photos - which we'd agreed upon beforehand. I pushed for about 50 minutes. H was a champ. He knew exactly what I needed without me saying it and I didn't get annoyed with him even once. I've been told I was in good spirits and even joked with the nurses in between pushes. I do remember making fun of H, but the rest is pretty fuzzy. I remember being very focused and knowing that if I could just get through that part...it would be the hardest, but it was almost over. Then I had a baby on my chest. His little head was so cone shaped H said he looked like Marge Simpson. He was kind of blueish. I think my first words to him, my son, were, "Hello! Who are you?" And he has been revealing exactly who that is to us ever since. 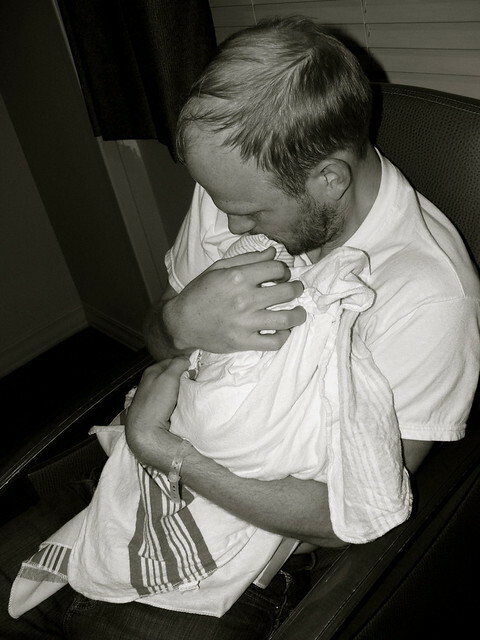 I held him for a few moments while post birth things took place. People swirled around us. H and I just stared at our 6 pound, 4 ounce lil' Beckett. He was the sweetest thing I'd ever seen. Then I began to feel it. That all too familiar feeling of the walls closing in and I knew I was going to pass out. I had noticed quite a bit of blood loss in the moments after delivery, but I had no idea how much was supposed to come with the afterbirth. Turns out, not as much as I was losing. I told Hillary he better take the baby because I needed to pass out now. As soon as Becks was out of my arms I lost consciousness. 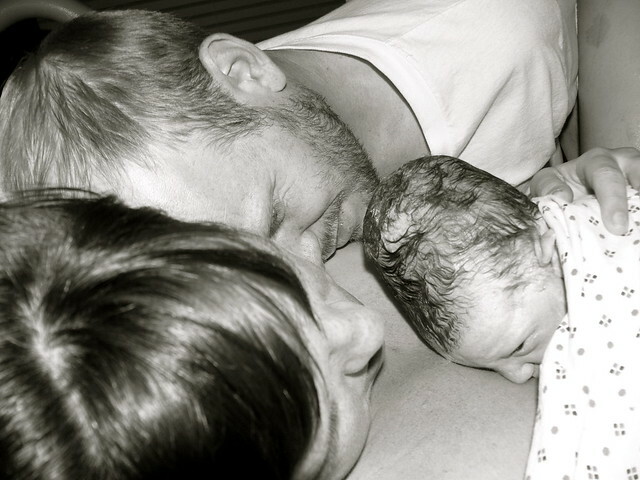 It was a post-natal hemorrhage because my body was expecting more of a slow build up instead of the lightening speed that it took to bring B into the world. I don't think I was out long and some Pitocin to help everything contract was all it took to get me right again. I was fine with interventions now that Beckett was on the outside. Morphine drip? Oh, I have to be in pain to get one of those...yeah, I knew that, never mind. We spent two lovely days in the hospital. Less glamorous then the Four Seasons, but my senses were heightened - This chocolate pudding with whip cream is the best thing I've ever tasted. I don't even like pudding! Nothing to do but rest, recover, receive visitors and get to know our little guy. I loved being in the hospital as a non-ill person. Then we brought him home and the real work started! As much of a surprise as it was, we ended up getting exactly the birth that we wanted. Well, I didn't get my moments of zen, but I did it with no drugs or interventions and we ended up with a perfectly healthy, gorgeous baby boy. ** All photos by Nicole Zirnheld Aldridge - our amazing doula. I like the way this ended. Sar, I loved reading this...so beautiful and what a wonderful story for little B to read when he's older. I'm so happy things turned out for you as planned and that you got a healthy handsome boy out of the deal! Win win! What a sweet story. Such an intuitive momm knowing when to hand little Beckett off. Glad everyone is well.